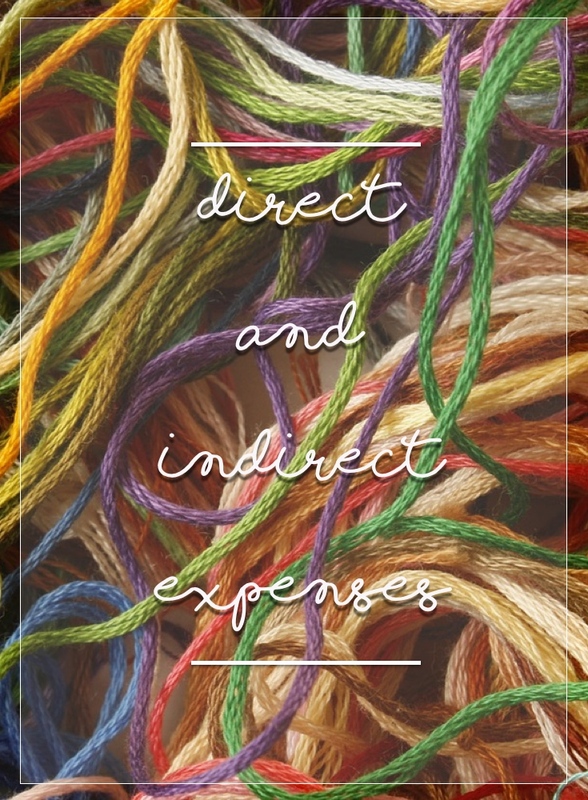 It is important to know the difference between Direct and Indirect Expenses as they can have a big impact on your calculations at the end of your financial year. As a manufacturing business, your Direct Expenses are the costs associated with the materials used in the production of your goods for sale. Common examples of Direct expenses for a craft business are yarn, buttons, ribbon, and flour. For most handmade businesses, Direct expenses will be the bulk of your overall expenses during the year. These expenses need to be handled and claimed differently to other expenses as they form your Cost of Goods Sold figure that you'll need to provide to the IRS on your Schedule C.
To do this, materials purchased need to be treated as an asset rather than an expense. This basically means that you will not claim the expense in the financial period when you incurred it, but rather when the asset eventually converts into your COGS - this happens when you sell the product you have made, which may be in a different financial period altogether. It is your COGS that will form your claimable expense come tax time. All other expenses are considered Indirect Costs. These are things like depreciation, repairs and electricity. As these costs cannot be directly factored into your COGS, they are claimable within the financial period they are incurred.